Wth the CR-V in the shop today for its 36,000 service ($450), I am essentially a captive. Apparently my release is contingent on forced physical labor. 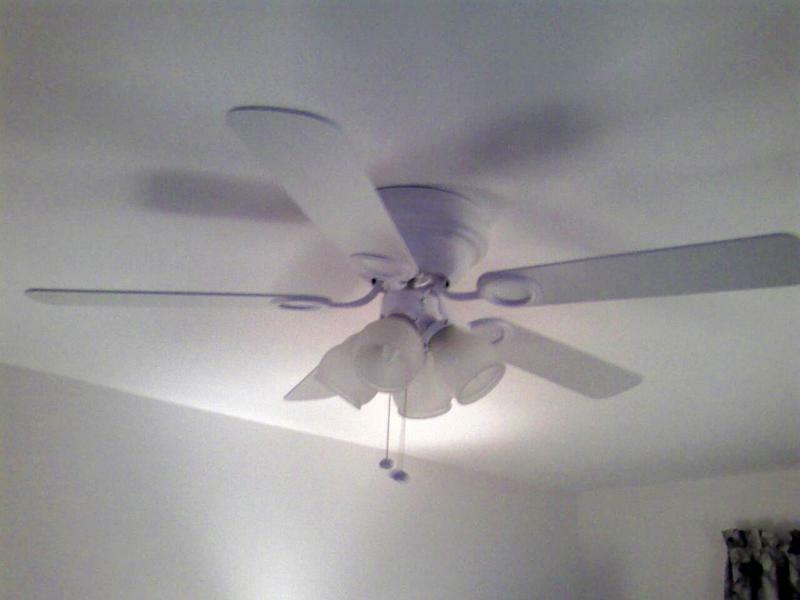 So far I have removed a decrepit 18 year old ceiling fan and replaced it with the nifty white model pictured above. This project was complicated by the fact that the fixture is directly over a very soft bed. I managed it anyway, in large part because the new model weighs about half what the old one did. Then I removed the poorly-functioning fluorescent light in the kitchen. It was screwed to the ceiling without benefit of an electrical box, so after another trip to The Home Depot, I am now relaxing while the spackle dries. Then we'll (I'll) prime the ceiling and maybe even get a coat of finish on it before bed. The cool new oval brushed metal fixture will have to wait until morning. excellent work!!!!! you call those couple of things a honey-do?!?!? So that's what it looks like out of the box. Hmm.